Are We Too Hyped Up On Juice? I recently left Southern Spain, where zumo de naranja, or fresh squeezed orange juice, was served everywhere. 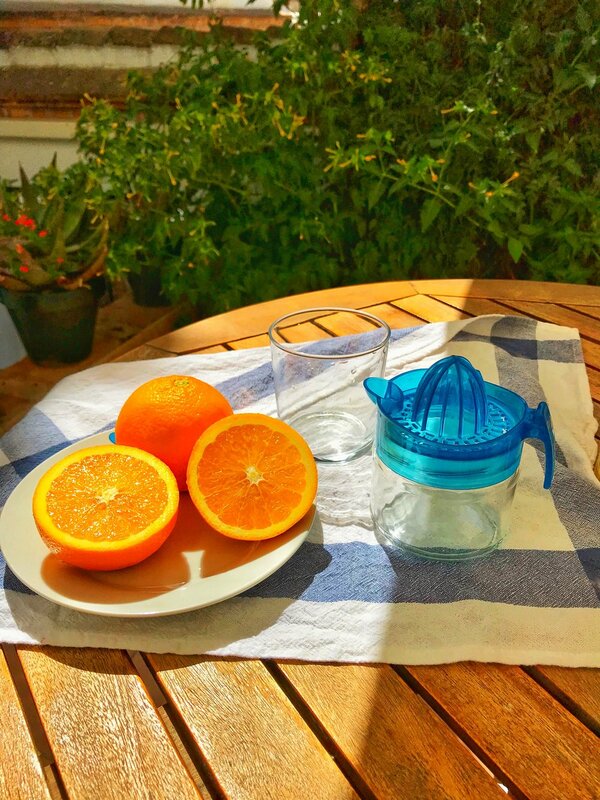 In Spain, juice culture is different from ours in the U.S. Rather than being portrayed as a nutritious cure-all, fresh squeezed juice is a treat served in a small 4- to 6-ounce glass that you can choose to add to your meal. 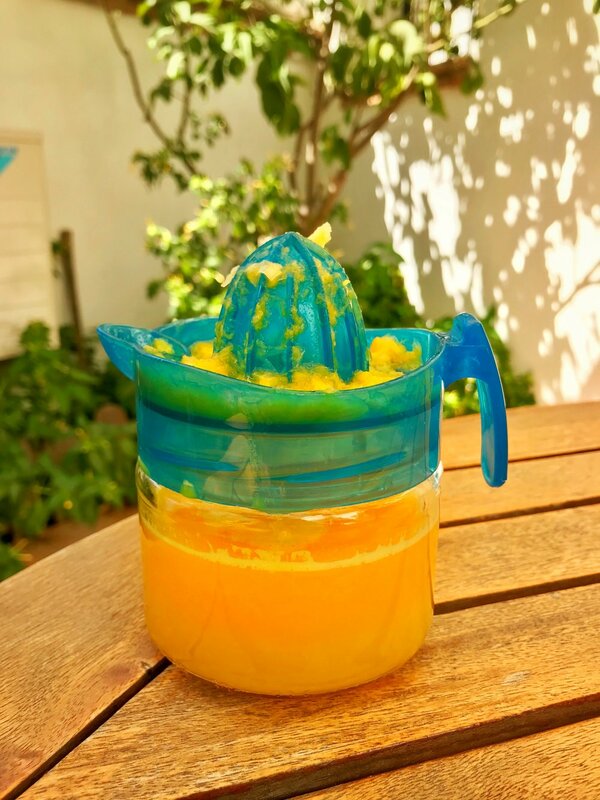 Juice is definitely an attractive drink with its vibrant colors and endless possibilities for delicious concoctions. Throw in a sunny day at the beach and it’s a picture-perfect setting. Aside from its Instagramable features, juice is often portrayed as a cleanser and purifier of all toxicities from your body. But is that true? Juice does contain some vitamins and minerals that you need for your body. After all, it is comprised of a basket full of fruits and vegetables condensed into one cup! But before you get too excited, think about all the pulp and skin, which contain important nutrients, that are discarded. For example, let’s focus on one of those important nutrients: fiber. Fiber is the “meat” of fruits and vegetables. It’s what we bite into and chew. It’s what helps make us feel full and helps us use the bathroom. The recommended amount of fiber intake is 25 grams per day for women and 38 grams per day for men. Unless you’re consuming a low-fiber diet for specific health issues, it is important to get enough fiber from food. Many of us do not consume enough fiber in our diet because we do not eat enough fruits and vegetables. With two Valencia oranges that are about 4-inches in diameter, I am looking to fill a 12-ounce glass. The first photo on the left shows the amount of juice yielded from one orange, and the second photo shows the amount of juice yielded from two oranges. After pouring the juice out, it is significantly less than 12 ounces. We’d probably need at least one to two more oranges to yield a full 12 ounces, meaning three to four oranges total. Just think—when was the last time you ate three to four oranges in a single sitting? In terms of the cleansing and detoxing properties, we can easily achieve this by simply eating the fruits and vegetables rather than drinking them. If you’re just starting to incorporate these foods into your diet, start slow, eating a fruit in between your meals and a small portion of vegetables with your meals daily. Slowly increase the amount as your body adjusts to having more fiber. You can also consider making smoothies. Smoothies use the whole fruit versus just the juice. This also uses a more realistic amount of fruit and vegetables per glass, meaning less food waste. 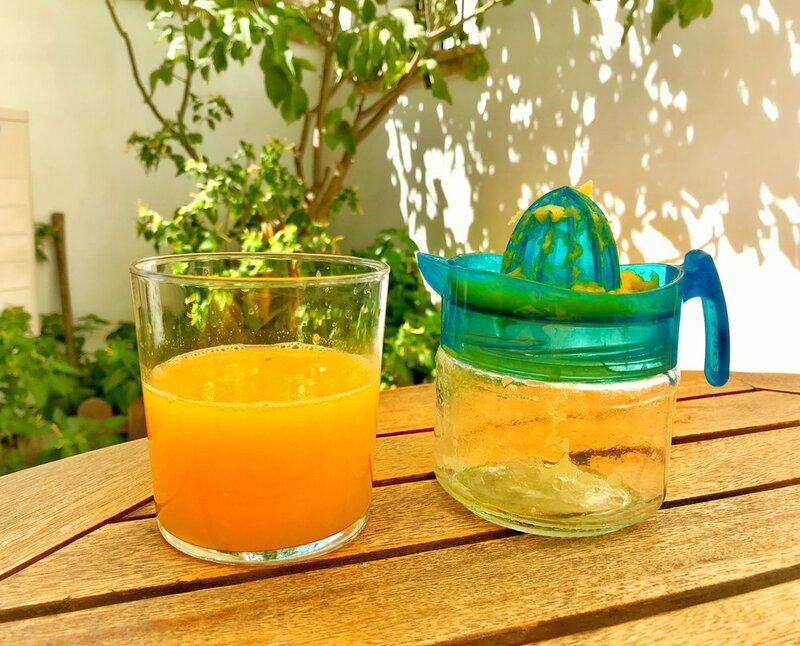 For a cleansing drink, choose water and leave the juice for your weekend brunch with friends and family. I believe it’s time to start treating juice as the Spanish do.